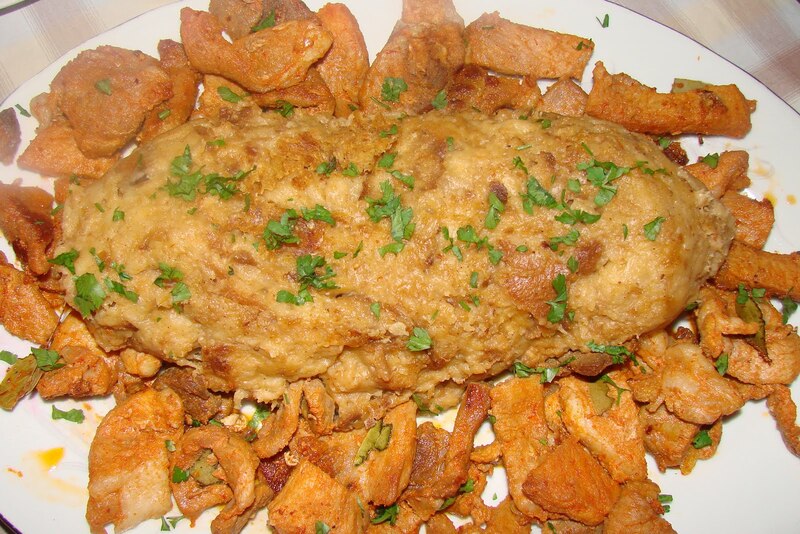 Migas is a unique and traditional dish in both Portuguese and Spanish cuisine. Typically served in the morning as a hearty meal, migas combine a savory bread crumb pudding with some type of meat on the side. Migas à Alentejana is the version of the dish coming from southern Portugal in Alentejo and is one of their most traditional foods. 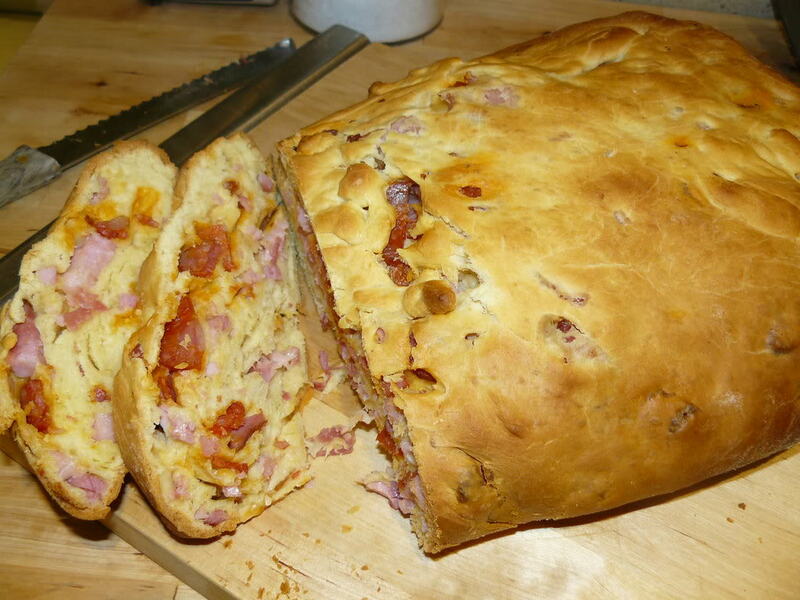 It is made with pork on the side and the leftover wheat bread which uses garlic and olive oil as the main flavor components. 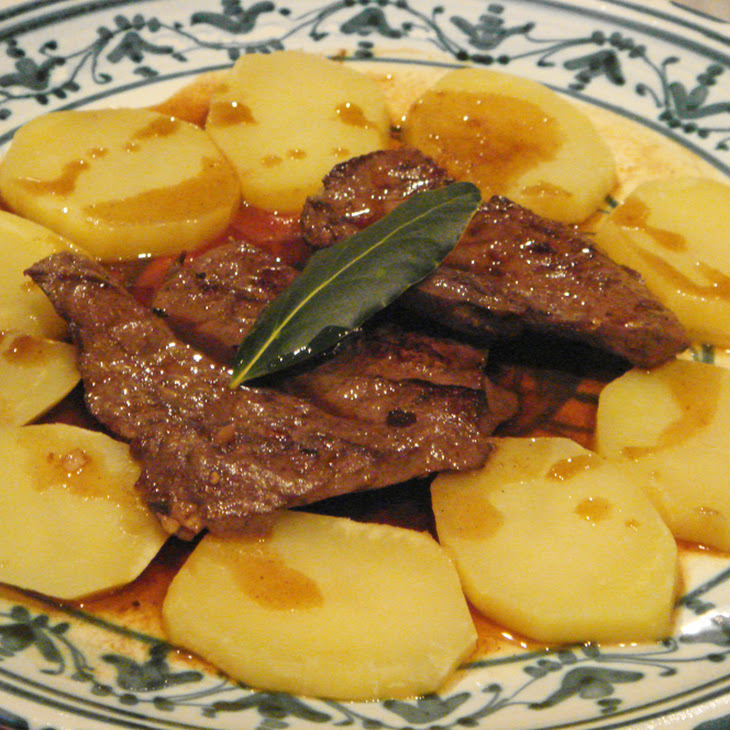 Rojões are one of the most traditional and unique dishes in Northern Portuguese cuisine. They are basically a combination between fried pork meat and pork rinds. Rojões are a lot like Portuguese torresmos but have more meat than fat, although they are just as delicious. They are full of flavor and when spiced with the right Portuguese seasonings, they are hard to resist. 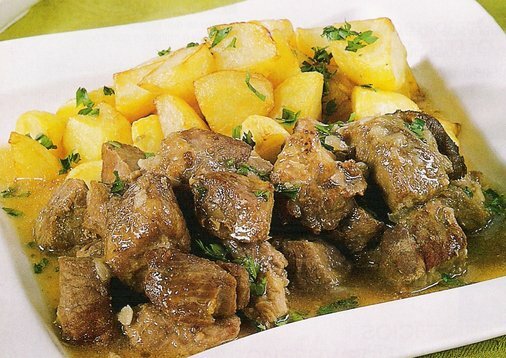 Iscas com Elas are a very famous and traditional Portuguese liver with potatoes dish. There are various ways to cook this dish, and you can either use pork or calf liver. These finely sliced livers are marinated with very simple ingredients, this simplicity results in the livers keeping their own intense flavor and rich texture. They are served with boiled sliced potatoes to properly even out the flavors. Bife de Porco a Milanesa, or Portuguese Breaded fried pork, is a Portuguese dish that is very popular because of its unbelievable flavor and crispy texture. 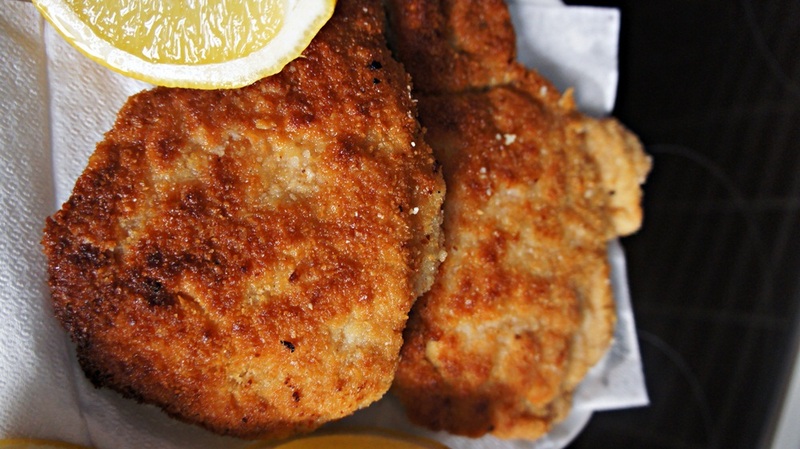 These perfectly fried golden brown pork fillets are great at anytime of the day and are always sure to impress. This dish is perfect for serving with some french fries on the side, or even sandwiched between two pieces of toasted bread. 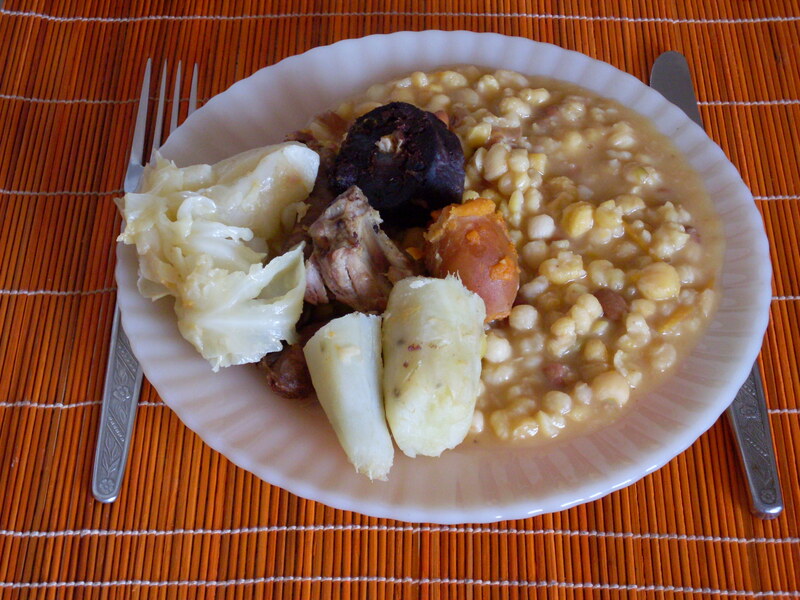 There are many ways to cook ‘Cachupa’, Cape Verde’s national dish. In a diverse archipelago such as Cape Verde, ‘Cachupa’ remains the distinct style of food for practical reasons. This version of making Cachupa is called ‘Cachupa Rica’. It uses all of the ingredients available on hand to make a richly flavorful meaty dish. Depending on the island there are various ways to cook this traditional food, with ‘Cachupa Rica’ and ‘Cachupa Pobre’ being the main two. Typically, the difference between Cachupa Rica (Rich) and Pobre (Poor), is that there are meats used in the making of Cachupa Rica.